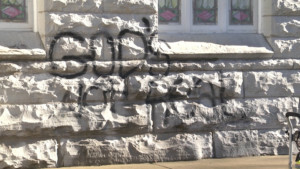 BOWLING GREEN, Ky.- Vandals have struck at a church in Warren County. 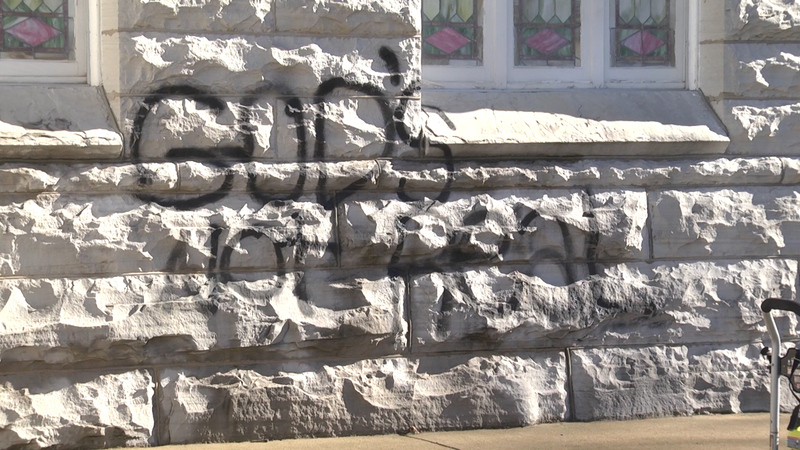 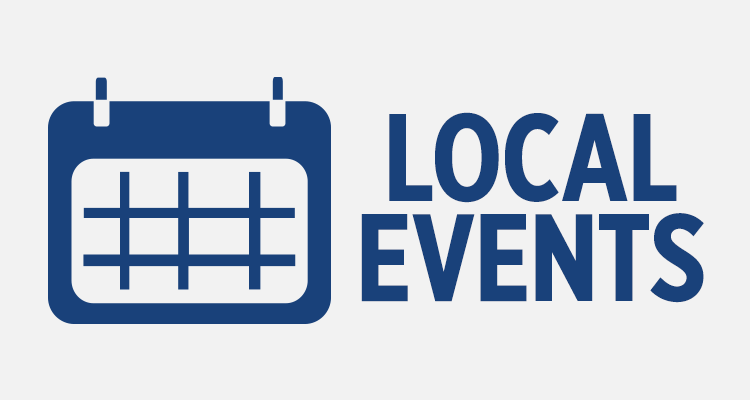 According to Warren County Sheriff Brett Hightower, someone spray painted graffiti on the walls and the door at Burton Memorial Baptist Church on Cemetery Road in Bowling Green. 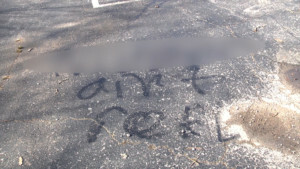 “God’s not real,” was painted on the masonry exterior of the church. 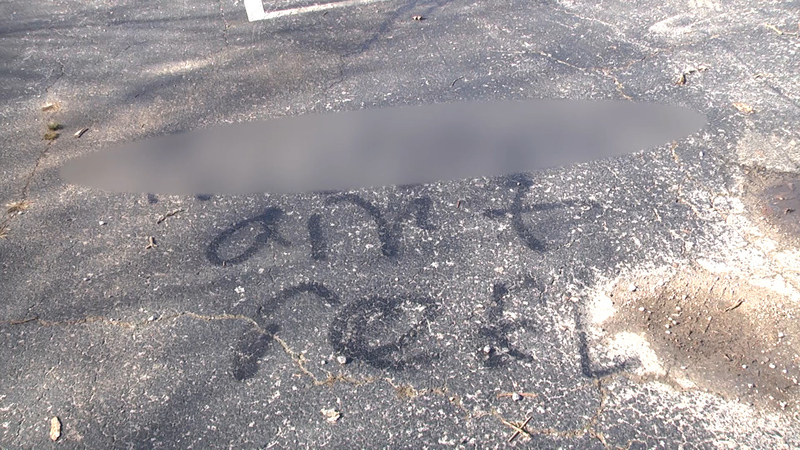 A racial slur was also spray painted on the ground of the parking lot. 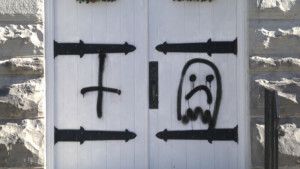 The vandalism occurred sometime in the early morning hours Friday. Dallas Goebel, the church’s pastor, has a message for the person or people responsible. 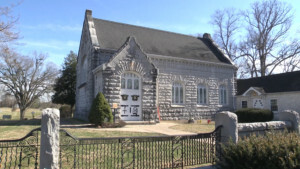 Anyone with information on the incident is asked to contact the Warren County Sheriff’s Office.